FleetMon was informed on a tragic accident which occurred at Dubling port early in the morning Jan 12. 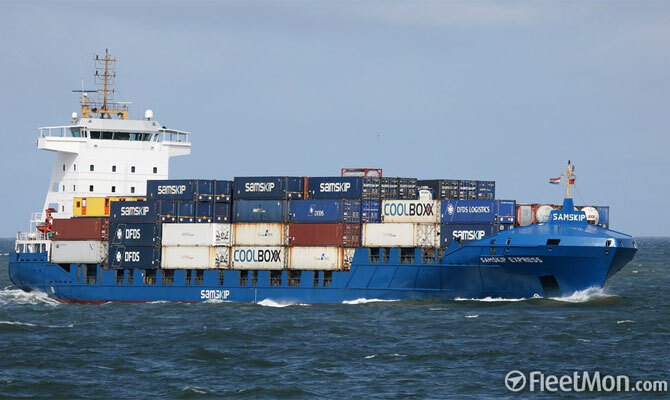 Chief Engineer of container ship SAMSKIP EXPRESS visited container ship ELBTRADER to meet friends or on some business, when leaving ELBTRADER he didn’t use gangway but jumped from the ship to the quay, slipped, fell into water and drowned. Investigation under way. Container ship ELBTRADER, IMO 9388534, dwt 11000, built 2008, flag Cyprus, manager MS ELBTRADER GmbH & Co. KG. Container ship SAMSKIP EXPRESS, IMO 9323479, dwt 9313, built 2006, flag Portugal, manager J. KAHRS BEREEDERUNGS GMBH & CO. KG.